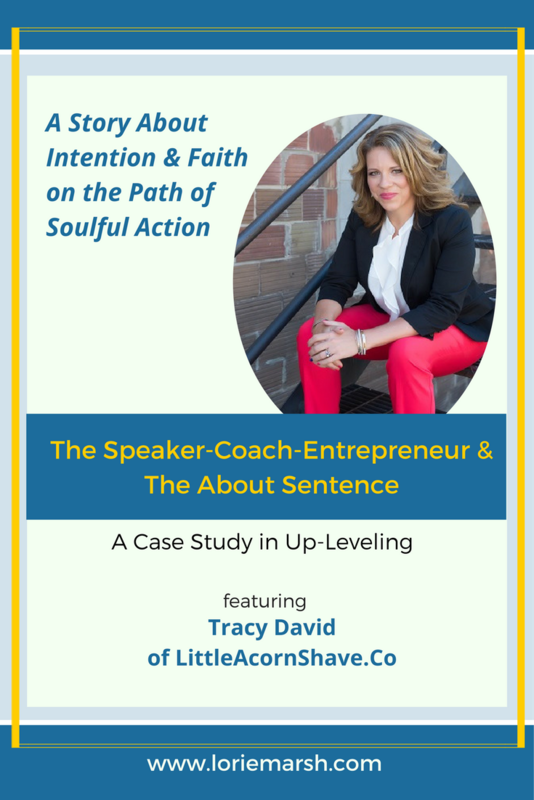 As a long-time sales trainer, then almost a decade as a Success Coach with thousands of clients, how in the world did entrepreneur Tracy David come to be the CEO of an online women's retail product startup called LittleAcornShave.co? I was keen to learn whether Tracy saw this as a Whoa! pivot, or an organic step of transition along her path. In discussing her background and reviewing her About Sentence together, I got an inspiring answer! Check out the video by clicking on the image. It's 22 minutes long.